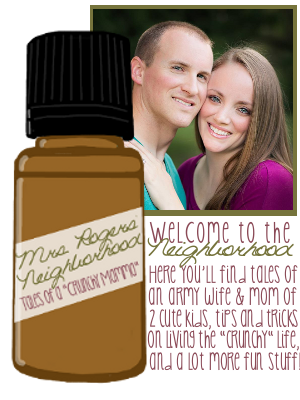 Mrs. Rogers' Neighborhood: I'm baaaaack!! I have been glaringly absent from the blog world. Not only have I not been posting, but I have also not been keeping up with my reading. Blargh! 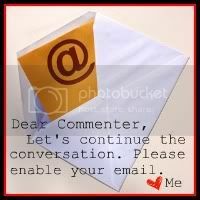 I love you, peeps, but other priorities shoved blogging right out of the agenda for a while. My husband has been back for about four days now, so life is calming down and getting easier again. I was busy enough when I had him here to share the load of parenting and other household duties! When he left, it was all I could do to keep myself, my son, and my house presentable and in working order while working a full-time job. Picking hubby up this past Friday after him being gone for a month for LDAC was like Christmas Morning. FlyLady is a site that helps you get your home and your life in order. I thought I was doing pretty well, but then my friend Jeannie started telling me about how she started FLYing and how much she loved it. I decided to try it. What did I have to lose? Well it's awesome. It's free and easy to get started (if you do, though, I would suggest opting for the daily digest email option!). My husband is loving the new system and our house is always company-ready! If it weren't for FlyLady, I'm pretty sure I would have fallen to pieces, overwhelmed, while McKay was gone. I've been a pretty independent person most of my life, but once you get used to having that other person and you get into routines that involve him/her it's hard to get used to doing things by yourself again! Bottom line: vacation came and went (lots of fun, by the way!) and McKay is back, so I should be up and blogging again in no time! Please be patient with me though--I have a lot of blog reading to catch up on and my family is still my tippy-top priority. I swear I'll be posting regularly (or binge-writing and scheduling posts...ssshhhh) quick as a hiccup. Thanks for hangin' in there with me!